The census data released this week shows some interesting statistics on language – for example, nearly 3m households in England and Wales have no adults who speak English as their native language. This presents challenges to the education, legal, health and community sectors who need to ensure that important information is translated or interpreted accurately to their audiences. Many service users will bring a relative to meetings to act as an interpreter, but this can cause embarrassment or miscommunication and a professional interpreter should be engaged as soon as possible. Urdu and Bengali translators and interpreters are more widely available now than in the past, but with the Polish and Nigerian populations increasing rapidly service providers in Manchester, Liverpool and other population centres are short of qualified and experienced interpreters. 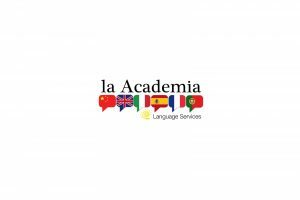 La Academia has many years experience of providing interpreters for court hearings, to interpret for the police, health services and local councils. We are happy to help you find an interpreter whether it be in Spanish, Turkish, Chinese, Urdu or Polish! La Academia also offers EFL (English as a Foreign Language) – beginner to advanced classes are available. We can do this as one-to-one tuition across Greater Manchester and Cheshire, or in groups at our offices in Cheadle. Give us a ring to find out more about interpreting, translation or EFL.